The Kansas Department of Corrections has reassigned the superintendent of the state's juvenile corrections complex after he allegedly grabbed and shoved a female worker. The agency announced Thursday that Kyle Rohr is reassigned to the central office until his criminal case is resolved. The Topeka city prosecutor's office said Rohr has been issued a citation on a charge of battery. Last year, 54 minors in Sedgwick County ended up in juvenile correctional facilities. 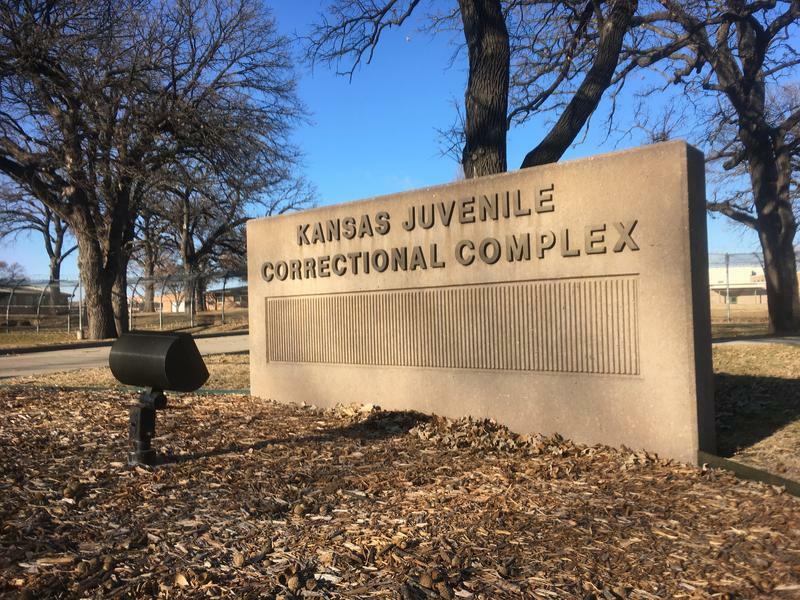 A new grant from the Kansas Department of Corrections (KDOC) would keep youths in the community and out of a correctional facility. Sedgwick County Commissioners approved the reinvestment grant application on Wednesday for nearly $615,000. The money comes from funds that were saved when the state defunded a program that had placed juvenile offenders in out-of-home facilities. Efforts to repeal major juvenile justice reforms passed in Kansas last year appear to have stalled. The law passed last year is aimed at rehabilitating juvenile offenders closer to their families rather than in prisons or group homes that studies show often cause more problems than they solve. But the law stripped prosecutors and judges of some discretion to impose stiffer sentences in some juvenile cases so those groups opposed the changes from the start. As they gavel in Monday for the 2017 session, Kansas legislators are considering delaying juvenile justice reforms enacted last year. Last year’s bill was intended to steer low-level juvenile offenders into diversion and treatment programs rather than group homes and detention facilities. It had broad bipartisan support, and Gov. Sam Brownback called it the premier legislation of the 2016 session when he signed it in April. Gov. Sam Brownback has signed into law legislation that overhauls the juvenile justice system in Kansas. The changes will allow more low-risk juvenile offenders to stay out of detention centers and instead take part in community-based rehabilitation programs. Brownback says this promotes the rehabilitation of youth instead of focusing on incarceration. “Senate Bill 367 offers practical, sensible reform. This bill is about being smart on crime. It’s about making sure our communities are safe while juveniles are held accountable for their actions,” Brownback said. Kansas currently ranks in the bottom 10 states when it comes to incarceration rates among juveniles. A growing number of people throughout Kansas want to see changes in how communities handle offenders under the age of 18. A new organization out of Lawrence is traveling throughout Kansas to draw attention to this issue. KMUW’s Sean Sandefur spoke with Benet Magnuson, the leader of the organization. Shawnee County has started feeding its juvenile inmates more after finding their behavior improves when portion sizes increase. As a test, in July, the Shawnee County Juvenile Detention Center began doubling the size of the meals it serves to the 10- to 17-year-olds incarcerated there. The center also replaced each evening's sugary snack with fresh fruit. Staff members saw a noticeable improvement in the behavior and educational program performance of young inmates. There are about 70,000 young people in juvenile detention centers or correctional faculties in the United States. Richard Ross spent the past seven years documenting the lives of American juveniles who have been housed in these facilities that treat, confine, punish, assist, and, occasionally, harm them. The culmination of this work is a project titled Juvenile in Justice at the Ulrich Museum of Art at Wichita State University.